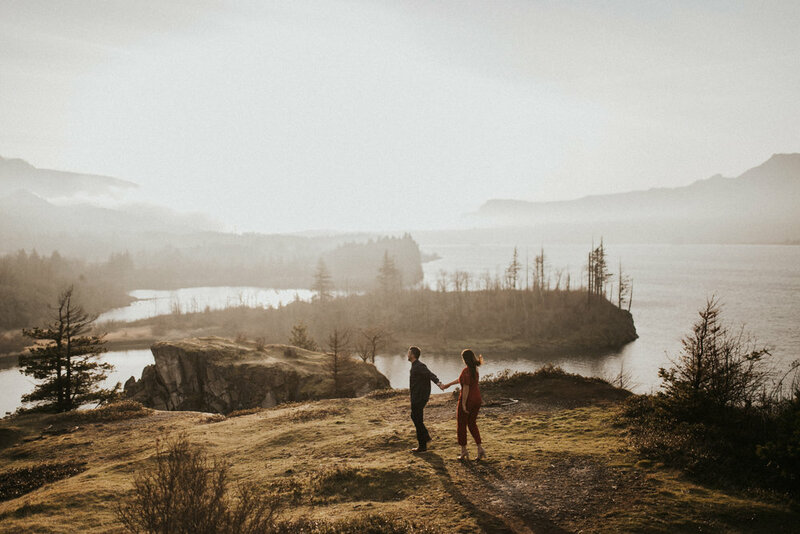 I met up with these two on a day when Portland was grey, dark and clouded in mist, but when we drove out to the gorge the clouds parted and the sun was far too bright for us to begin the shoot. We detoured to a local brewery and sipped beer while we waited for the sun to go down a bit. When we arrived to Government Cove the lighting was literally perfect. The mist still covered some of the mountains and also created a beautiful filter for the setting sun. I had just flown into Morocco only one hour before meeting Michelle and Jonas. I was filthy and completely jetlagged, and they just looked perfectly sunkissed and relaxed. 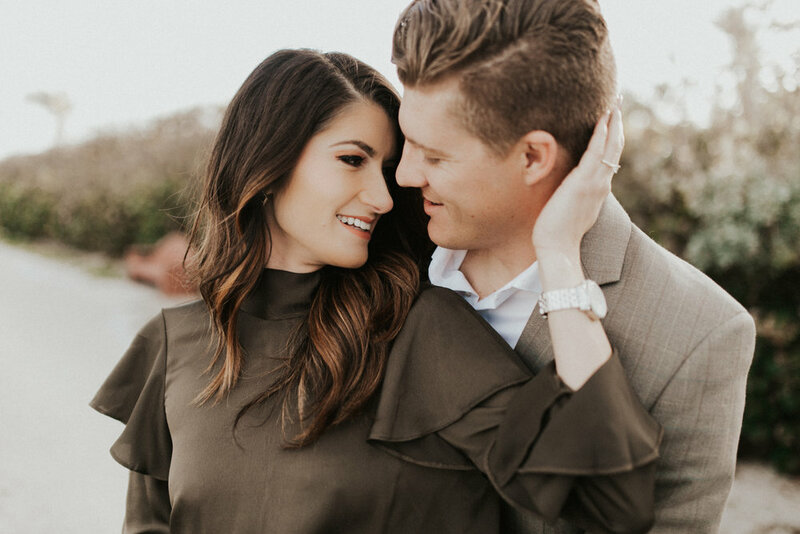 As soon as I saw them I knew that I wanted to ask to have a mini-session, but I also didn't want to seem completely crazy! I went for it anyway, and even though they were literally checking out (like bags packed out the door kinda thing) they said yes and we spent about half an hour just roaming around our stunning riad taking snaps. I had the incredible honor of photographing my cousin and her beau while in South Florida. We took to the beach on a cold and windy day, and what resulted was magic.